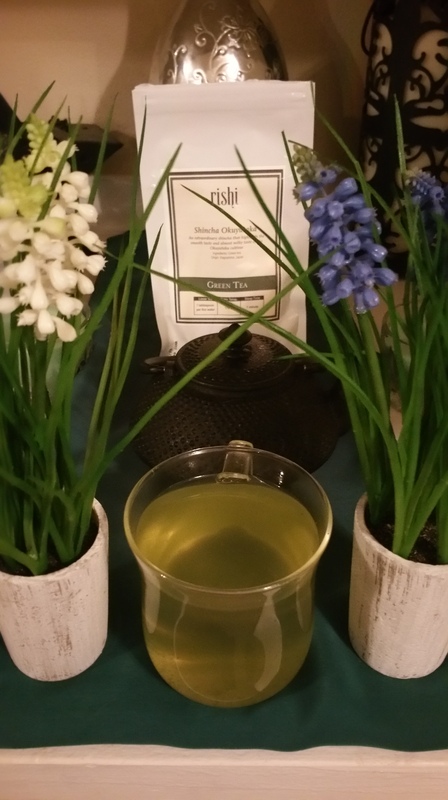 This is the second of the one-two combo from Rishi teas. This is Shincha Okuyutaka, from Kagoshima, Japan. Not bad, the color looks like Mellow Yellow got a little more mellow. The taste is like hot water with a little fishy grass thrown in for funsies. Not too bad, although Kelley thinks it is too bitter-tasting for her likes. But what can you expect from an Egg? That’s enough for now. Sip slowly, tea fans!